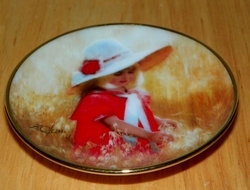 Collector Miniature Donald Zolan Plate - 1993 Jessica's Field Single Issue for Mother's Day from Pemberton & Oakes. 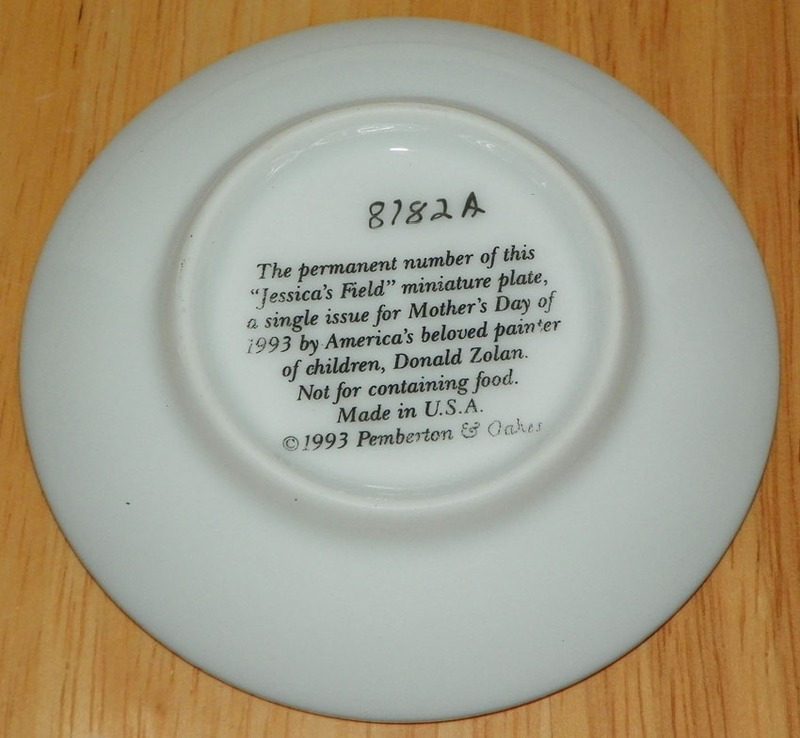 This is plate #8782A and is 3 1/2 inches. Valued at $65. Plate is in excellent condition. Comes in it's original shipping box and small green box (damage/partially crushed), Certificate of Authenticity, black plate stand and additional insert Zolan's Own Story.